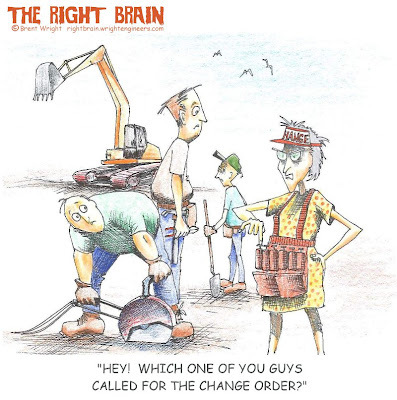 The Right Brain: Who Ordered the Change Order? Who Ordered the Change Order? They're so common everywhere in Las Vegas, it seems, that I don't really pay attention to whether they still wear an apron like this, but the inspiration for this one came from grocery store slot machine change ladies. Maybe you have to be from Vegas to smile at this one.